When I worked in the studio system, my desk was overflowing in scripts -- filled with the good, the bad, and the mediocre. More bad than good but there was still a ton to read. As soon as I went independent though, the floodgate of scripts trickled to a slow drip. In fact, most of the independent films that I make are from writers/directors I have found through relationships I have made myself. One of the films I produced was introduced to me by an agent. There must be so many wonderful scripts just sitting on shelves that are not making their way to us independent producers. Let's change that! Writers, don't be afraid to approach independent filmmakers directly. Or ask your rep to call us. 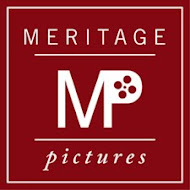 We can make your films! I understand the philosophy behind wanting a writer's work to have the greatest chance of success with the largest budget, i.e. take the script to the studio first. Okay, I get that. But, what I'm not understanding is shelving those scripts after the studios pass on them. Why not get those scripts to good, reputable independent producers who can make the script into a film? Every director in Hollywood began their careers with smaller projects. A well-made film in any arena should only increase the writer/director's success. Besides, by bypassing the indie world, writers are actually decreasing their chances of being produced. There are a ton of really smart and amazing independent producers who could make incredible films if they had greater access to strong scripts. Let's break down this barrier! Give us access to stronger scripts and we will have a stronger chance at saving independent film. I've written and directed a number of short films, each with incredible production value for the budget, and a few commercial specs. Of course the idea was to further my career, or gain exposure to direct a feature, but I've found it increasingly difficult to find financing and exposure to take my work to the next level. What would you recommend doing to get financing for a short film without grants? And what steps would you recommend for those much lower than you on the ladder who want to work on independently produced films such as the ones you create? Thanks for this, Jane! Writers need to hear this! Hmm. Your financing question is a tough one. Typically shorts get made from the filmmakers bankrolling the film. Or finding someone with money who wants to support you as an artist and gives you the money to make your film. I don't know of any other ways than using your own money or finding wealthy people interested in film to back your short. I wish I had a more hopeful response for you. As for working on films like the ones I produce, the best thing to do would be to reach out and submit your resume. I warn you though, most indie producers, like myself, don't have large budgets so the pay isn't normally very high. But we do provide great experiences. Since we can't pay well, we do go out of our way to make sure everyone is happy and having a good time as we work them to the bone. And if a project isn't going, just check back in every couple of months and perhaps there will be a project on which you can work later. And don't forget interning! Intern for free with the producers you want to get to know. Once they know you and your work, they will be more inclined to call you first when they are ready to hire. Good luck! Thanks, Jane, for the encouragement! Just to clarify, you mentioned that writers could contact you directly, but the contact page for Wonder says writers should have an agent or attorney introduce them. Is it okay if we email a synopsis and introduce ourselves? Yes, you can email a synopsis direct to us. We respond to those inquiries that seem to mesh well with our mandate. We seek romantic films (both comedy and drama), biopics, and dramas. Thrillers are good too. Thanks!